An official announcement was made last week that the Smart Nation and Digital Government Office (SNDGO) would be established in Singapore, with the Government Technology Agency (GovTech) as the implementing agency, under the Prime Minister’s Office (PMO). 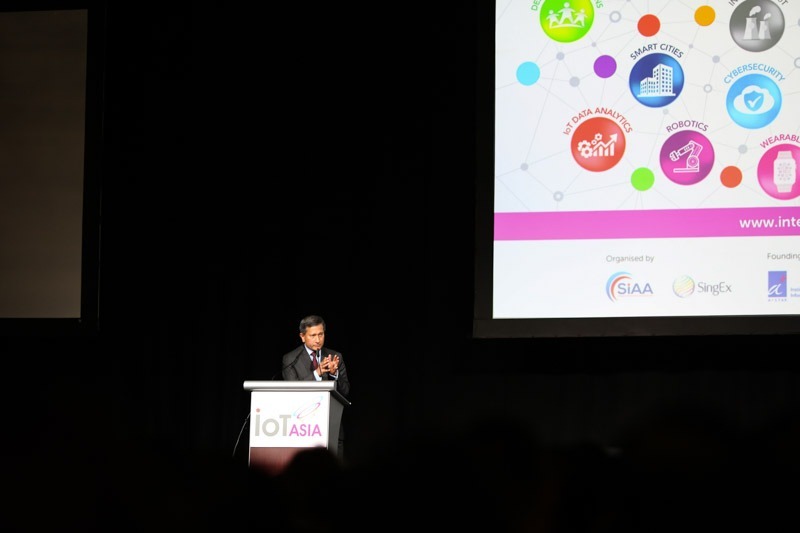 At the opening keynote address of IoT Asia 2017, Minister Dr. Balakrishnan mentioned that collectively, the Smart Nation and Digital Government Group (SNDGG), which is the combination of both SNDGO & GovTech, will tighten linkages between planning and implementation, and allow Singapore to be more agile in driving Digital Government and building the country as a Smart Nation. One of the top priorities of the SNDGG is to ensure the public service can use and deploy technology effectively, and better use data and digital tools. To that end, GovTech is signing a Memorandum of Intent (MOI) with the National University of Singapore (NUS) to provide training for 10,000 public servants in data science over a period of 5 years. In addition, NUS will work with GovTech to develop methods and processes to strengthen cybersecurity for public agencies. This platform will enable the sharing of sensors deployed by government agencies and the sensor data collected as well as to leverage on existing infrastructure where possible, to maximise use of Singapore’s physical assets. For instance, the government will pilot the use of lamp posts as nodes for deploying sensors, beacons and connectivity. It will be first for public sector use but can be explored further if it can also benefit the private sector. The current NRIC system is primarily analogue, a card which people carry in their wallets containing personal information, information which reside in government databases. As a pilot, the government has made personal information available to banks through the MyInfo portal starting with 4 banks - DBS, OCBC, UOB and Standard Chartered Bank. Anyone who wants to sign up for bank accounts can log in with their SingPass, and personal information can be passed to the banks to open the account for the person. Steps are being explored to make this service more widely available as it saves users the hassle and help companies reduce costs. The government is looking at upgrading SingPass, to make sure it is good enough as a secure digital identification system and have the infrastructure made available not just for government, but the private sector as well. All these needs to be done to engender greater confidence, reduce transaction costs, allow information to be exchanged securely and seamlessly, to create new services and to improve consumer experiences. The Prime Minister shared that the Ministers still used cheques to pay one another for lunch. So this is an area that can definitely be improved. Although Singapore started early in 1984 by introducing the Interbank Giro System, today it is lagging as cash and cheques still remain the predominant mode of payments, and they incur transaction costs. The Monetary Authority of Singapore (MAS) is working with the industry to roll out a Central Addressing Scheme (CAS) this year. This will better enable or facilitate digital cash transfers. The CAS works like a register to map mobile numbers or the Unique Entity Number (UEN) of businesses to bank account numbers. With this, users can send funds to friends, businesses without needing to know their bank account numbers. All they need to know are their phone numbers or UEN. The MAS is also pushing hard to introduce a Unified Point of Sale (UPOS) terminal at check-out counters. It simplifies the payment platform for retail stores, so consumers do not need a whole array of POS terminals, or find that a POS they need for their credit card or mobile device is not available. For transport, the Land Transport Authority (LTA) is piloting account-based ticketing. This started last week, on the 20th of March. Commuters can use their contactless MasterCard, and not just EZ Link cards, for travel. If successful, more payment providers will be brought on-board. The intent of all these is to make transactions easier and more convenient so that more transactions will go cashless. It helps Singaporeans, and it also helps businesses. Minister Dr. Balakrishnan also mentioned that cybersecurity is a pre-requisite of Singapore as a Smart Nation. Critical control systems must be protected even as they are made smart. “We must ensure that our digital identity framework and e-transactions are secure and robust. We will work with industry and experts. As I mentioned earlier, an example is the MOI that GovTech will sign with NUS to develop methods and processes to strengthen cybersecurity for public agencies,” Minister Dr. Balakrishnan said. d) Singapore has nurtured a vibrant start-up and conducive business eco-system for solutions to be tested and scaled-up.